On behalf of the Board of Trustees at Wellington High School we welcome new students and families to our school as well as welcoming back our current students and their families. Congratulations to all students who sat NCEA exams at the end of last year. The Board are currently analysing the results from these exams to inform our decision making for the year. We encourage all parents and students to realise the importance that attending school has on learning. Research shows us that attendance is vital for good grades and encouragement from home to come to school each day is a vital part of supporting all our young persons’ learning. Our dedicated staff have already been busy over the last few weeks preparing for the school year and welcoming students. Finally, we encourage all new families to join our Te Whānau a Taraika. You are all welcome to attend the next hui which will be held in Taraika. Please keep and eye on the weekly wrap-up for details of the date and time. School photographs for 2019 will be taken on 7 and 8 February. To see the schedule and find out how to purchase photographs click here. As signalled in the Principal’s message last term, we have a new timetable this year. If you were here last year, you will see that school will start and end at the same time this year and we will only have one period after lunch. In addition, the later start day is going to change from Tuesday to Wednesday. 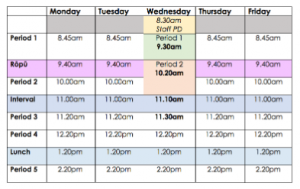 On Wednesdays, school will start at 9.30am for Year 9—10, and at 10.20am for students in other years. 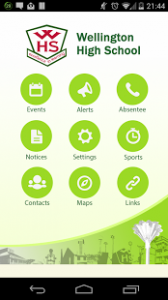 And don’t forget to download the WHS app for iOs/Android to keep up with alerts, notices and more. Haere mai, haere mai, haere mai! Welcome to all our new and returning students and their whānau for 2019. 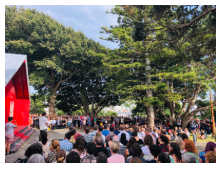 It was wonderful to greet all our new students this week at our pōwhiri under the trees at Taraika marae. We hope you all have a calm and settled start to the new year. If you have any questions, don’t hesitate to contact your rōpū teacher or Dean. See our updated Sports page for the 2019 Sports Booklet and Registration Form. If your student wishes to play any of the above sports, sign up sheets are on the Sports noticeboard outside the Lower Gym. Instrument and vocal lessons will start on the 8 February. The deadline for payment and form return is 4 February. For more information, please read the Music newsletter. Year 10, Kristina Sundin is currently in Thailand, representing New Zealand in the Women’s Floorball World Cup Qualifications. 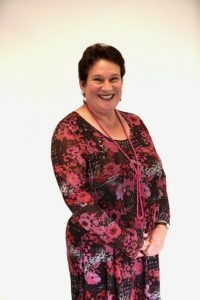 Congratulations to Kristina for her selection and contribution to the NZ team. We look forward to hearing how the competition progressed on Kristina’s return to school next week.